Please help me welcome Iceberg as the very first snow specialist to join the ranks of my collection! 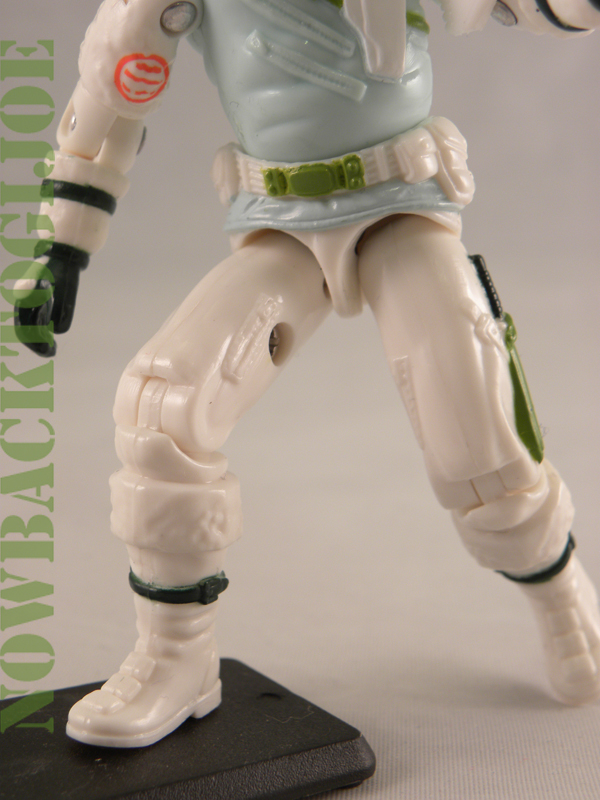 I’ve been purposely staying away from ANY vintage figure or vehicle containing white plastic due to my inexperience restoring white plastic, heck, I didn’t even know if it could actually be done. 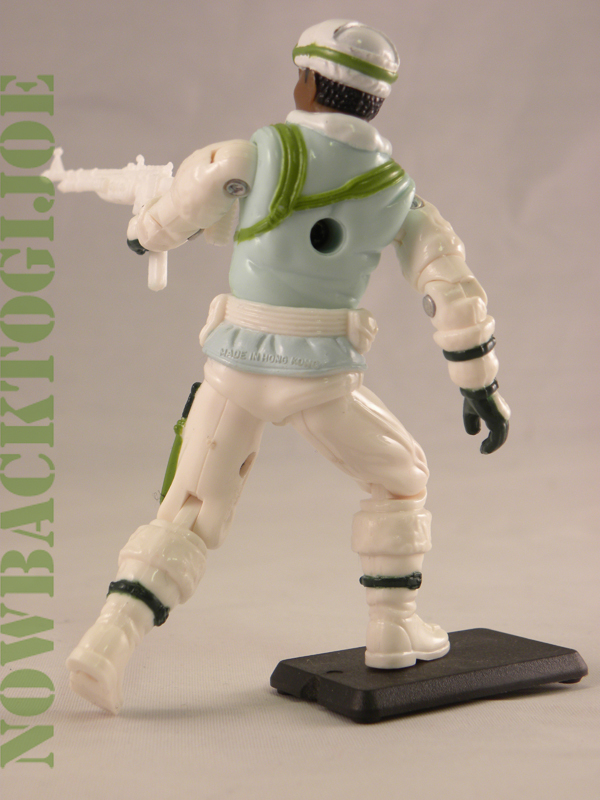 As you can tell from the entry “Fun with Chemicals”, were off to a good start restoring white plastic figures. 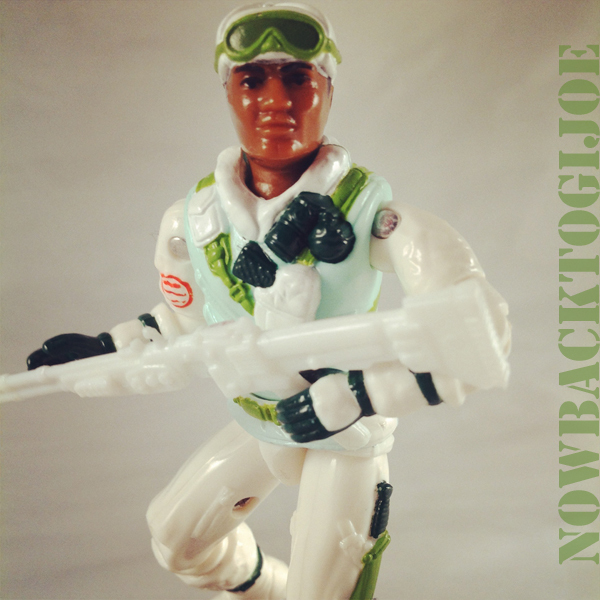 One afternoon, like I had many times before, I took a bike ride to the local Toys R Us On Sherman Way and Woodley Ave, and came across Iceberg sitting on a peg and the fact that he was different color than the other Joes, immediately drew my attention. 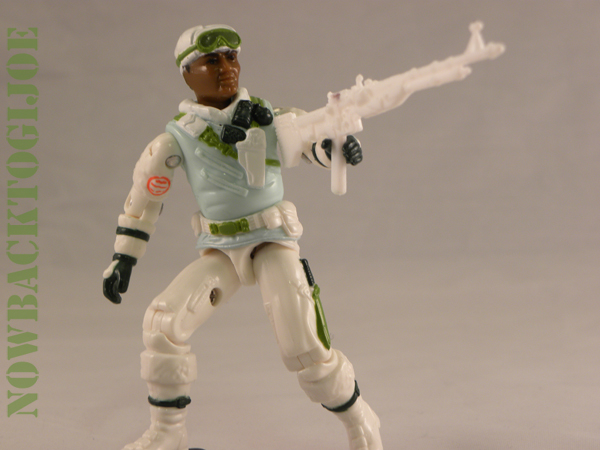 A short while later I was at home with my brand new snow trooper. 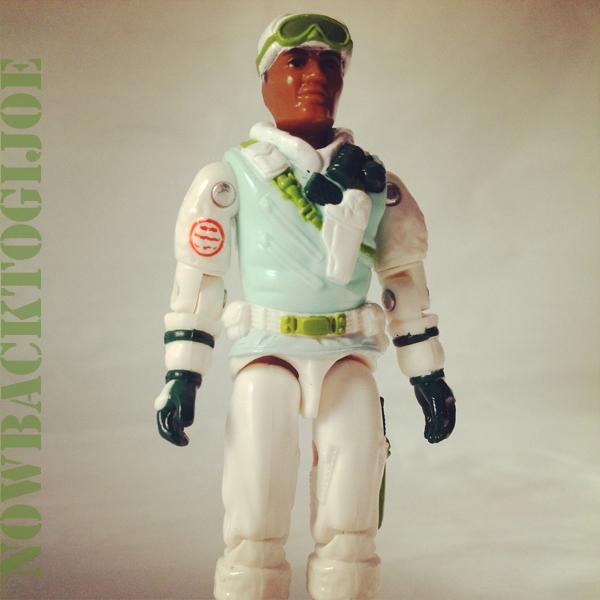 After many adventure in the backyard, Iceberg had the distinction of being the dirtiest GI Joe in my collection. Growing up in the San Fernando Valley in Southern California, we didn’t really see a lot of Snow, in fact, none. 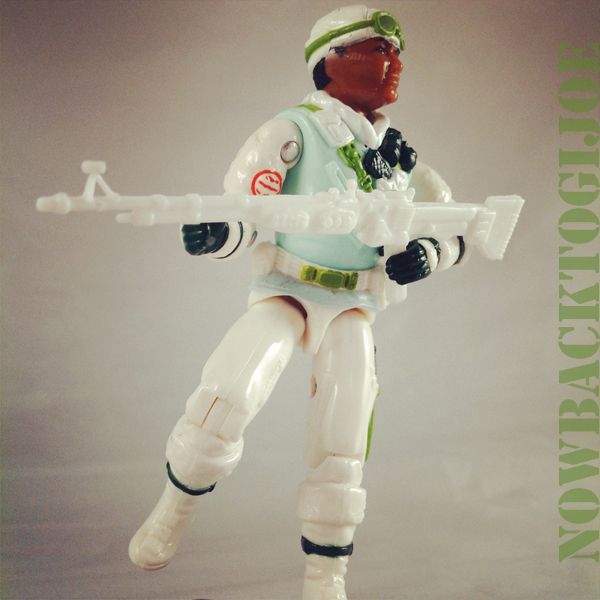 And hence, Iceberg had no choice but to roll around with the rest of my Joes in my backyard. My very muddy backyard. 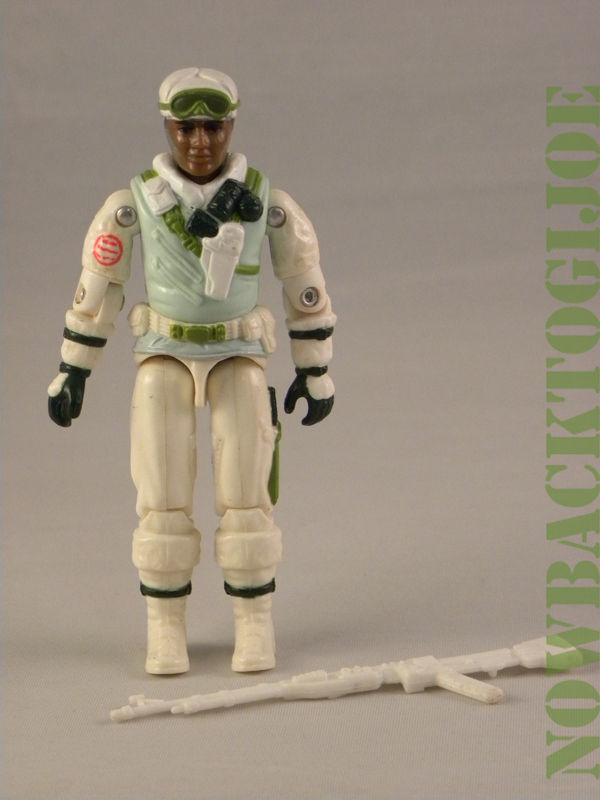 Unfortunately, I never owned any snow vehicles so my Iceberg figure had to ride around on an old beat up Recon Sled. 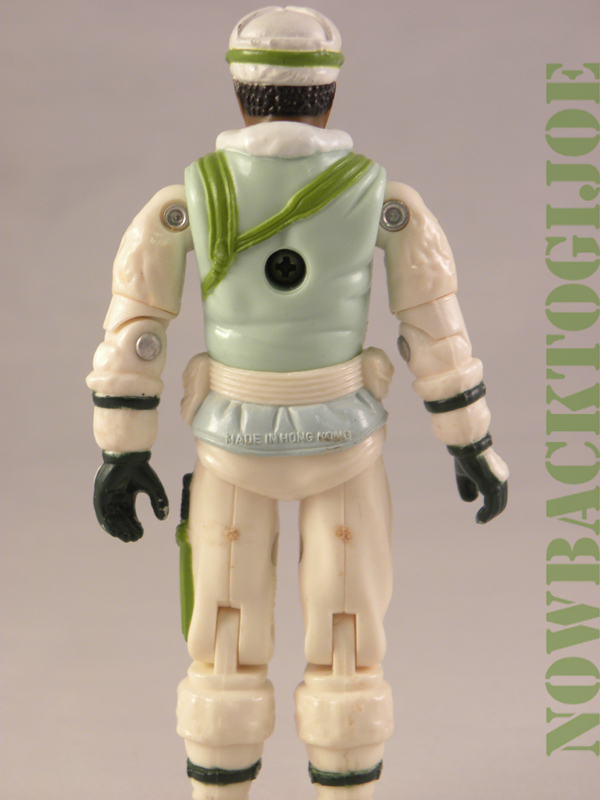 I don’t quite recall what figure it was, but I remember getting a new Joe that inherited the Recon Sled and poor Iceberg got bumped down to riding in an old Luke Skywalker Landspeeder from the Star Wars line! Thanks for joining me for a tenth time for a figure profile, be here for number eleven won’t you? C’ya then! Wait wha?.. Welcome back readers! Before I continue, I feel I should state extreme caution should always be used while handling any chemical. Be sure to use gloves, eye protection and any other required protection. Now, onward. Today We’ll be looking at using Oxygen Peroxide to restore vintage figures and vehicles that were produced with white plastic, back to their original shades of white. 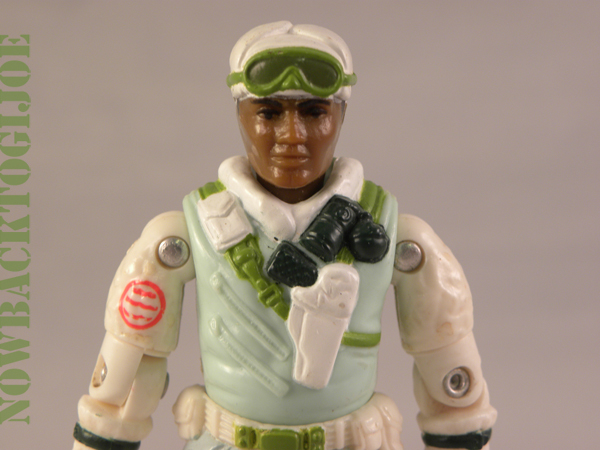 Figures and vehicles such as Snow Job, Iceberg, Stormshadow and the Snow Cat vehicle, and really any old toy cast in white plastic, are prone to turning an ugly shade of yellow over the years. What causes this color change? Break down of chemical compound on the plastic, Direct exposure to sunlight, cigarette smoke, artificial ultraviolet light, Heck, I’ve even heard that a fire retardant was originally added to the chemical make up of the plastic during the production process. Whatever the case, figures and vehicles are turning yellow with age. So can this effect be reversed? Yes, if with different degree of success. From the research I’ve done both online and talking to other collectors, results are greatly varied. Some get fantastic results, while others report less than stellar results. I did find one common denominator though, The “formula” varies depending on who you ask, as many tend to have their own spin on what combination of chemicals and chemical amounts to use, and how much exposure to the sun, or more explicitly, ultra violet light, is needed for success. The procedure involves submerging the specimen in Oxygen Peroxide and setting both out in the sun for a few hours or up to a day depending on the severity of the yellowing. In addition to peroxide, some add oxygenated detergent such as Oxy Clean. Yet another variable is using Corn Starch to solidify the mix into a gel like consistency. Peroxide comes in different grades starting at 3% grade all the way up to food grade 35%. For my attempt, I’m going to be using the 3% grade purchased at Target. Why? 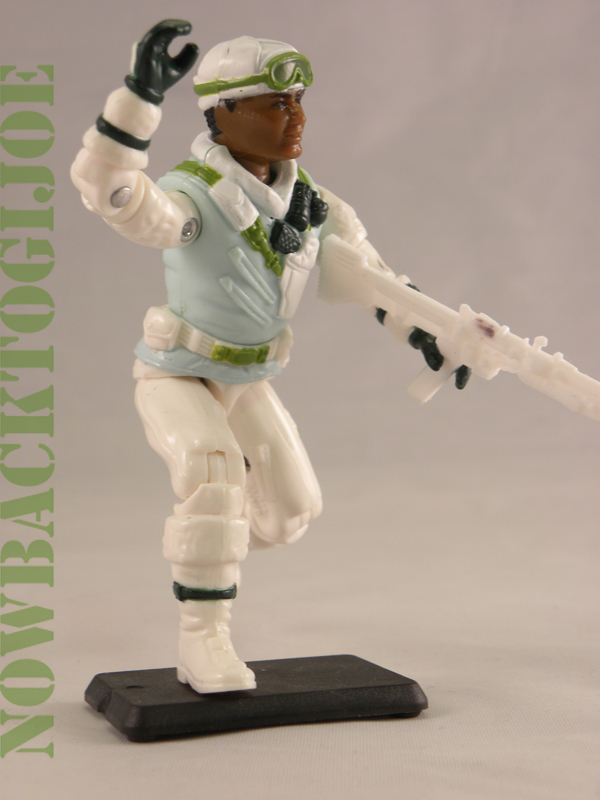 because it’s the most widely available and you can try this with your figures after reading this entry. Trial one involved a mixture of two chemicals, oxygen peroxide and Oxy Clean in liquid form mainly to avoid any graininess that might come from the powder. Into a glass bowl, I poured a cup and a half of Peroxide and two Table Spoons of Oxy Clean. I submerged Iceberg completely dissembled, covered the bowl with Saran wrap and set outside in direct sunlight for a good 10 hours. the result were good as I could see some improvement in the overall tone of white on the figure. The yellow wasn’t as pronounced. My only doubt with this trail run was the effectiveness of the added Oxy Clean as the mixture did not dissipate into a clear mixture like I initially thought it would. The mix remained a cloudy blue, the color of the Oxy Clean so I wasn’t sure that any ultra violet light even touched the figure. Nonetheless, there was improvement. Trail number two involved only Oxygen Peroxide only but with 2 days worth of sunlight. Same procedure, Clear bowl and Saran wrap. This time the results were really good! 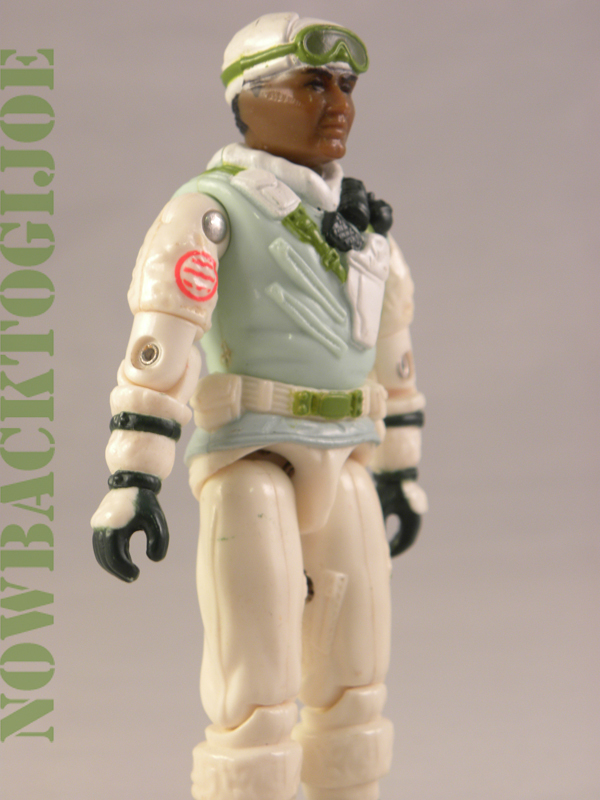 I can’t imagine a figure off the production line in 1987 looking any better. I was really surprised to see the Peroxide without the Oxy Clean work even better, but ultimately it did. I snapped these pictures in the same light at the same exposure so hopefully you can see the difference after just one treatment. 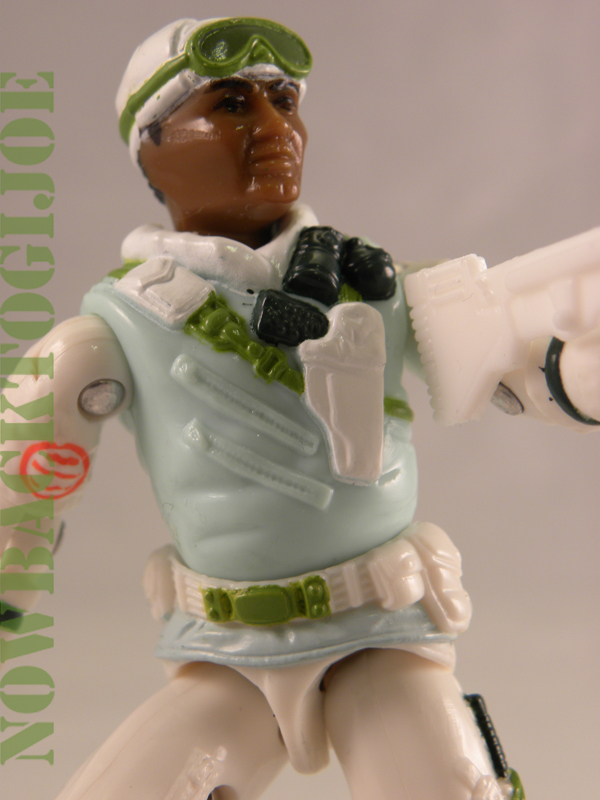 The white plastic is definitely a few shades brighter, while the blue and green and brown skin tone remain unaffected. After the peroxide treatment, I took the figure through my usual restoration procedure which in his case included a new O-ring, Rust treatment for his screws with CLR, some minor paint touch ups on his hands, and a complete once over with 303 to bring out the shine. The end result is a good as new Iceberg. I hope to try this again with stronger grade Peroxide on something bigger, perhaps with the Polar Bear or Snow Cat. C’ya then!